Virtual and augmented reality platforms are tipped to be the standout technologies of 2017, and new research has shown that the UK’s retail market alone could be boosted by as much as £1bn a year if consumers could preview products in a virtual setting before committing to costly purchases. The independent report commissioned by Manchester-based company DigitalBridge found that while over 56% of UK homeowners plan on upgrading their home in some way this year (allocating average budgets of £500-£3,000 per project) over a third of those consumers have walked away from making such purchases in the last 12 months because of the so-called “imagination gap.” In other words, they simply couldn’t picture how products such as wallpaper, flooring and furniture would look in their homes. 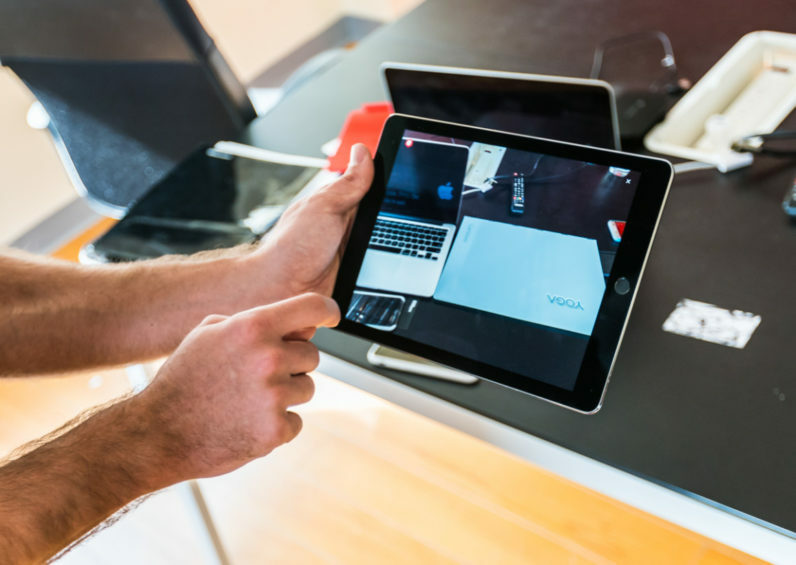 Some major retailers such as John Lewis have already grasped the potential of this technology, investing in smaller start-ups that can help them bring augmented reality platforms to market. “Augmented reality has been around for 10-15 years now, but we really wanted to bring this capability for companies of all sizes, with one simple platform,” agrees Mickaël Jordan Co-founder & COO at Augment, which provides AR technology to a variety of businesses and retailers. The French company raised $4.5 Million so far from investors such as Salesforce Ventures and has worked with B2B clients such as Coca-Cola and Colgate over the past years. While most of their operation is still based in Paris, Jordan is now heading a team based in Orlando, Florida to build relationships with US retailers such as The Home Depot. The latest generation of Augmented and Mixed Reality technology hardware such as the Microsoft HoloLens is also tapping into these use cases, including an application which plugs into the Lowe’s catalog and allows customers to design and customize their kitchen using 3D holograms. Jordan says those experiences are impressive, but currently difficult to scale as they need to be monitored by someone on site. Their Augment platform currently focuses on mobile as is the technology most widely used by consumers, but their ambition is to become the software backbone for all future AR hardware. “We’re already working on Windows 10 so the application will integrate with the HoloLens,” he says. “With as much as £1bn of revenue up for grabs in the home décor market alone, retailers can no longer overlook the value of virtual and augmented reality as a commercial tool,” adds DigitalBridge CEO David Levine. More than half of the consumers who took part in this survey said they would be more likely to make a purchase after using this technology, but its impact is not limited to the home interior market, it has potential to completely revolutionise all kinds of sectors from fashion, to architecture to real estate,” he concludes. These are extremely challenging times for retailers, and businesses will need to leverage technology to engage customers and keep them spending. AR, it seems, is set to become a key tool in achieving this. Read next: Will An App Replace Work?